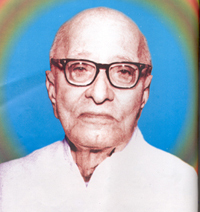 A leader gifted with amazing intellectual brilliance, a multifaceted personality, popularly known as ‘Rajaji’ was born in Thorapalli, an interior village near Hosur in Krishnagiri district. He held the position of Chief Minister of Tamil Nadu during the pre and post Independent periods. He had the distinction of being the first Indian to occupy the position of Viceroy and he was also the last Governor General of India. An eloquent speaker and a great writer his works are cherished even today. From the presidentship of Salem town municipality to the Governor General of India, he bestowed luster on the positions he held.